Yamaha FZ is a popular model in India since its launch in the market. Yamaha launched the new FZ naked bikes earlier this year with updated styling. The FZ series gets two bikes – the FZ V3 FI priced at Rs. 95,000 and the FZ-S FI priced at Rs. 97,000. Both the bikes only vary in styling. Here is a video of both the bikes that reveals the true exhaust note the new FZ V3 series. The new Yamaha FZ V3 comes with a host of updates and it looks very different from the outgoing model. The FZ V3 gets styling updates that include a new tank with muscular scoops on it, a new headlamp that looks heavily inspired by the Yamaha FZ25. The headlamp now gets a dual barrel with the all-LED set-up. 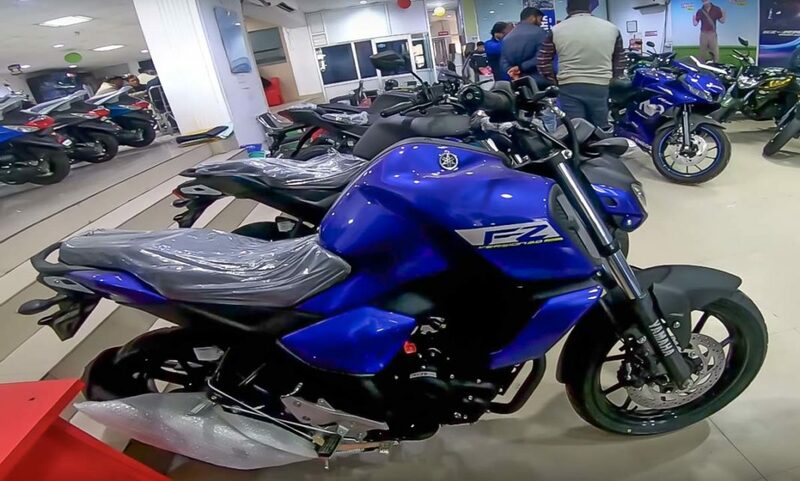 The seat of the Yamaha FZ V3 series has been updated too and it now offers a single, contoured seat instead of the split seats that came with the previous model. It is much more comfortable. Yamaha has also updated the instrument cluster, which is fully digital and gets a blue backlit. At the rear, it gets new tail lamps and an updated exhaust too. The exhaust sounds a bit throaty in the video. Yamaha offers ABS as standard in the bike. It is a single-channel ABS unit that only works in the front wheel of the bike. Both the front and rear wheels of the bike get the disc brakes. The gets powered by the same engine that has been left untouched. Both the bikes get the exactly same 149cc, single-cylinder, fuel injected engine that churns out a maximum power of 13 Bhp and a peak torque of 12.8 Nm. It gets mated to a 5-speed transmission. Yamaha currently offers two colour options with the FZ and three colour options with the FZ-S. Soon, Yamaha will launch the all-new MT-15 in the Indian market that will be the naked version of the Yamaha YZF R15 V3.0.